Email Reposting Gone Wild - Merrow Sewing Machine Co.
One think I particularly liked about this issue was that it focused on one of the reasons we've been so successful in the Textile Finishing space and it gives a nice directed shout out to our OEM partners. The relationship with OEMs is often tricky - and at Merrow we've decided that the most productive way to define our own value to to include as much information about the implementation options as possible - and then do what we do well and publish it online. Pugi has a completely Battry Powered Industrial Sewing Table. It's pretty cool - just plug it in at night and roll it around the factory during the day. It's like the Prius of Sewing Tables. Monti and Pugi both offer very different but effective Tubular Knit Seaming Solutions. This is a tough problem and both companies have done a bang-up job solving it. We have a new cutting solution for the automatic seaming of fabrics courtesy of Birch. We should name it the 'intimidator' ... picture a circular cutting blade attached to the front of the Merrow machine running down the railway on it's own. Happy Halloween! And did i already mention that you would have seen this if you'd signed up for our email? -For years Merrow has worked to develop solutions with great companies. Our 3rd party equipment providers (or OEM) are among the most sophisticated and capable in the industry. They create tremendous value for customers by simplifying the sewing process. 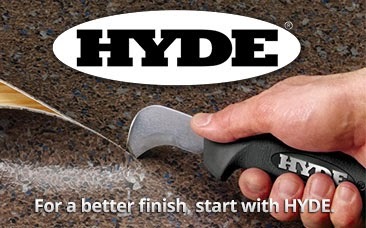 Examples of some recent developments are the Battery Powered stations, the rail based rotary cutting blades with optical controls and automated tubular knit seaming! 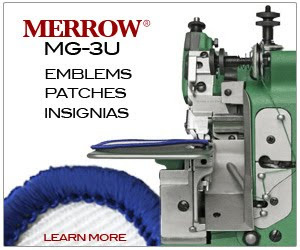 See some of our OEM partners at Merrow.com "Merrow builds a great sewing machine, and combined with all of the OEM equipment from their partners - Merrow offers an unbeatable solution for anyone who is considering the cost of sewing. I've been able to automate half of the plants i work with and each one is saving money after the install. We sew their fabric well, and we simplify the way they do it. No one offers solutions like the Merrow OEM partners." (Top) In each Frame we're showing an example of products offered by Merrow OEM partners. In the first (from top right going clockwise) we have the Battery Powered table built in Italy by Pugi. Second is a railway built in Germany by Schweizer. Third is a green frame, and fourth is a fully automated sewing station built by Birch in the USA. * With all Merrow OEM products, calling us first is a great idea. We will be more than happy to provide marketing information, customer references and options for purchasing and shipping equipment.